Years go by more and more quickly, don't they? December has arrived bringing cold air and frost our town. Countdown to Christmas and New Year has started and the streets and shops are decorated and illuminated. Are you looking for lovely gifts for this Christmas but everything you find is generic, impersonal and massive? We are very excited to present you what we have been working for the last months. We would like to offer you an original and beautiful gift to give thanks and wish Happy New Year to you and your loved ones: our 2018 calendar. We present our dog Miso on the cover. We adopted him from an animal shelter 5 years ago and since then he has become another member of our family. Did you know that Japanese years are represented by the 12 animals of the zodiac and 2018 is the year of dog? We wanted to take this opportunity and dedicate this to him for his affection & being always good companion. The year of the dog represents loyalty, tenderness, happiness and diligence. According to the horoscope, people born in the year of dog tend to be kind, friendly, intelligent, noble and faithful. Our rustic calendar is alined with these our values. We fuse our hearts: Japan and Catalonia. From Japan we take the symbolism of the calendars and use a traditional and handcrafted printing technique called Bingata. While all the calendar illustrations are inspired by our rural life and Catalonia's traditions. ● Yoko has specially designed 13 seasonal illustrations to tell you a story or a poem. We hope you will enjoy each one month to month as you turn the pages. 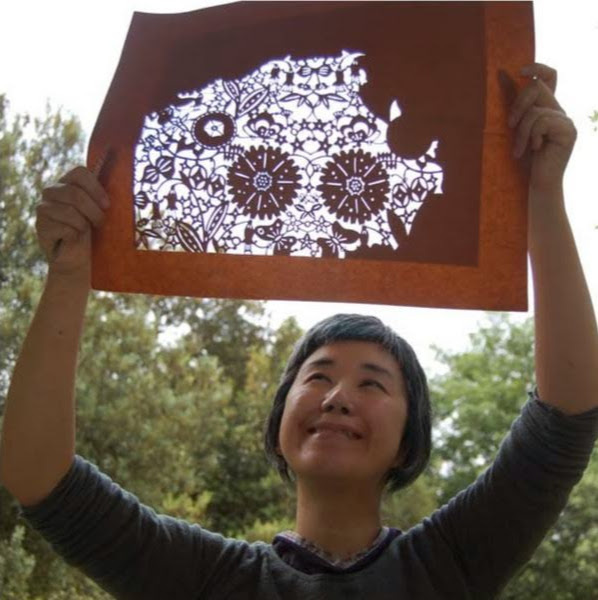 ● It is printed on recycled paper and uses ecological ink. It is an ideal gift with personality for that special person you have in mind: highly recommended to those with love fot Japan, Nature, Arts & Crafts, culture of Catalonia and Slow Lifestyle. 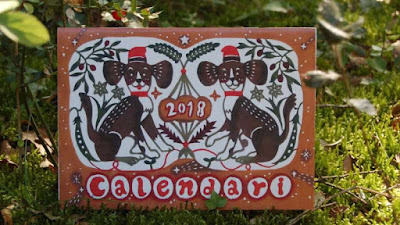 Small piece of art in a calendar format, useful and enjoyable throughout the year. 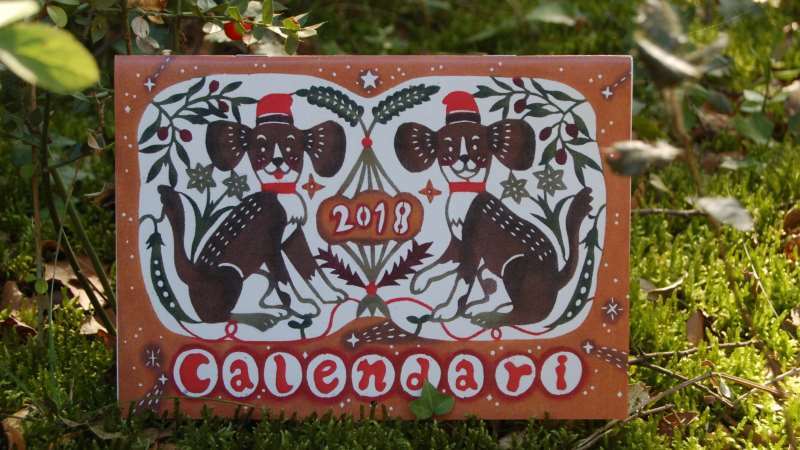 We hope that our calendar brings you many smiles, fresh forest air, and good vibrations. Qué tradiciones tienes en los finales del año?